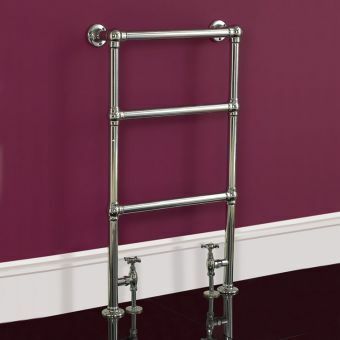 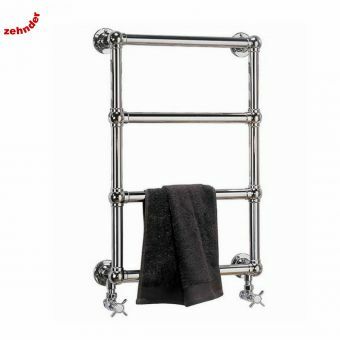 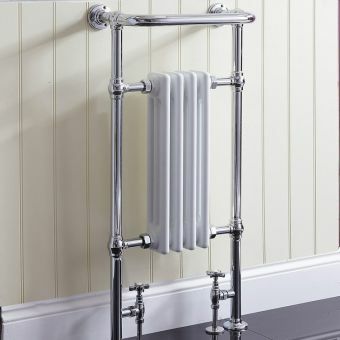 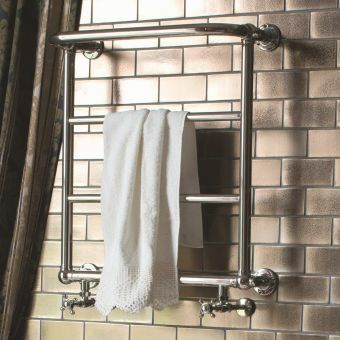 Add a touch of class to your bathroom with this towel rail and radiator in one, boasting traditional Victorian design with a modern twist to suit any decor, whether it's modern and sleek, or classic and eclectic. 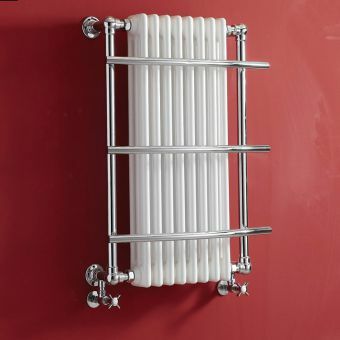 The rail consists of a small radiator with five individual ridges, complete with silver screws and a glossy white finish to add an extra sparkle. 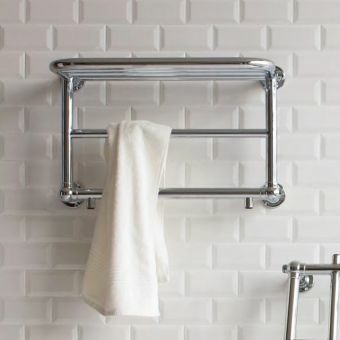 Surrounded by a sleek silver piping panel, the metalwork is finished with a chrome gloss and circular fixtures. 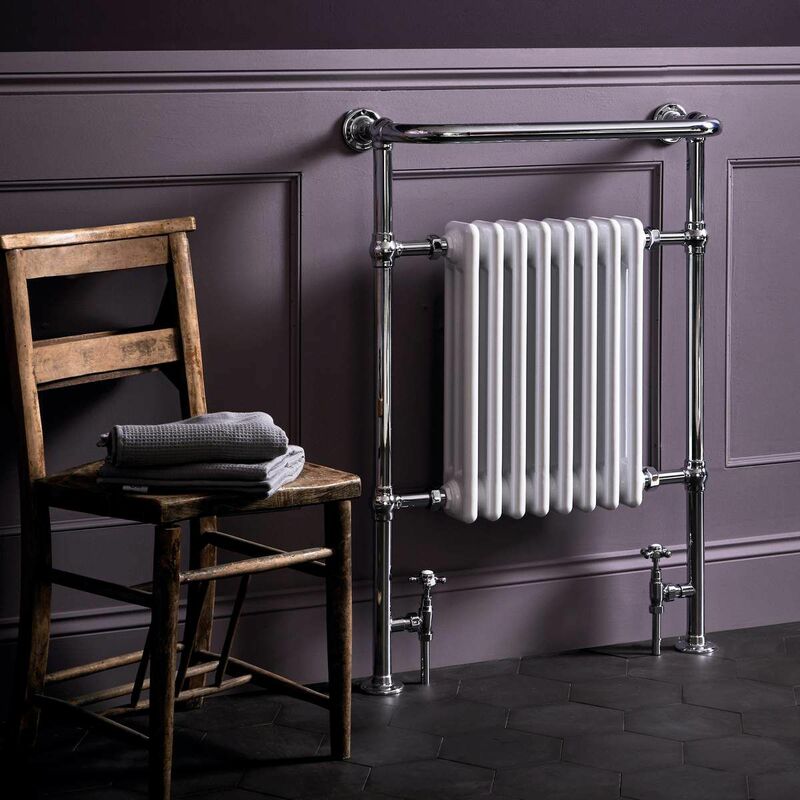 At the bottom of this, carefully designed radiator are two taps to adjust the temperature to whatever you desire, complete with traditional three-strand handles. 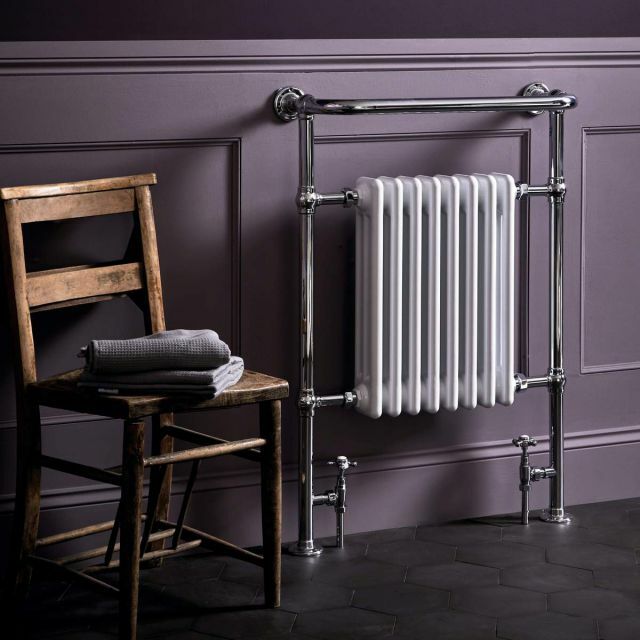 The radiator weighs approximately 16.6kg and has a height of 965mm by 540mm width and 230mm depth. 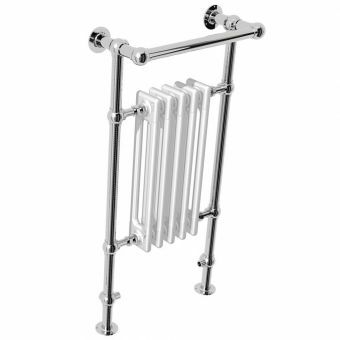 It also comes complete with the necessary screws, but valves and breaks must be purchased separately. 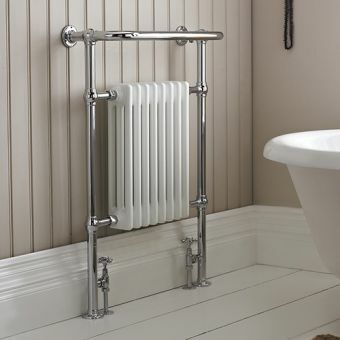 All tappings use 1/2 inch British standard pipe, for a classical and elegant addition to your bathroom.